In this post I’ll be talking about well known ways and maybe not so well known ways to find original and high quality horse art without completely breaking the bank. You do not need to hire a decorator to do this for you! At least I’m of the opinion that you don’t. Even if you absolutely hate decorating and shopping, there’s something about the experience of picking your own horse artwork that’s super satisfying and really creates a personal touch. Like for instance, I absolutely love finding artworks that remind me of horses I used to ride but no longer do. It brings back really fond memories. Or buying artwords that depict my dream ranch and the lanscape surrounding it – I think of that almost like a vision board! 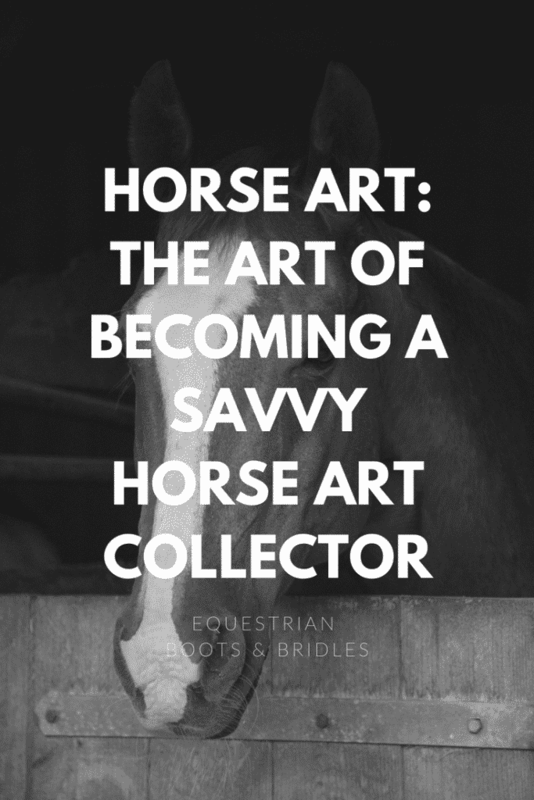 If you love horses as I’m sure you do since you’re reading this, then you probably love decorating your house and barn with a ton of horse art but maybe you don’t have a ton of time or money to spend scoping out art galleries or searching for the perfect artist on the internet? Not to worry! I’ve done the work for you and I’m happy to teach you the art of becoming a savvy horse art collector – at least my version of one 🙂 As an artist myself, I love looking for art online in addition to doing my own for the house. There’s a few places you can find awesome horse art that I’ve been able to point out so far. I’ll start with the most straightforward way – on the internet from the comfort of your couch. Then I’ll move on to trickier strategies on navigating social media because there can be quite a bit of developing artists that are not quite ready to sell yet to sift through before you find some great pieces. Lastly, I’ll cover how to find good art galleries or independent artists if you like to shop in person. The nice thing sometimes about finding independent artists if you are willing to open that wallet a little wider is that you can actually comission your own work. A great idea that a friend of mine had was to comission the paintings of all her horses by one artist and then have them put up at the front of each of their stalls in her barn. Then she got the horse’s name engraved in a wooden block that she hung above the painting. Isn’t that just awesome? When you’re looking for horse art online, you want to go to the databases that serious artists would flock to in order to try and get comissions for their artwork. True, Etsy is not so much artwork as crafts but sometimes you will find amazing artwork there. And if you are at all into multimedia artwork (which I very much am!) it’s an awesome place to shop. You might also stumble onto some crafts and other stuff that you can get. Basically they are a platform that’s been around since 2006 that connects buyers and sellers of art. As an artist, you can sign up, create your profile and start posting your artwork to the platform. The types of artists that you can find on Fine Art America are fine artists, photographers, illustrators, brands, and graphic designers. One thing that I find really cool is that you can also create stuff out of the art prints that you find. So you can not only buy wall art but other types of stuff with the print you like on it – anything from mugs to yoga mats – and they’ll ship it to you. And as I mentioned above, they also offer a ton of other stuff that you can put the image you’re intersted on. It’s extremely affordable but you have to accept that you won’t get an original here although if you don’t mind reaching out to artists that you really like and doing a little bit of back and forth, I’m sure you could comission some artwork for a higher price. The nice thing is that Fine Art America also offers a 30-day money back guarantee incase there is any issues with your order. Also associated with Fine Art America is a site called MobilePrints.com that is very similar where artists can sync images from their Instagram accounts.We actually have a MobilePrints account when we used to put together a lot of our Instagram posts ourselves. 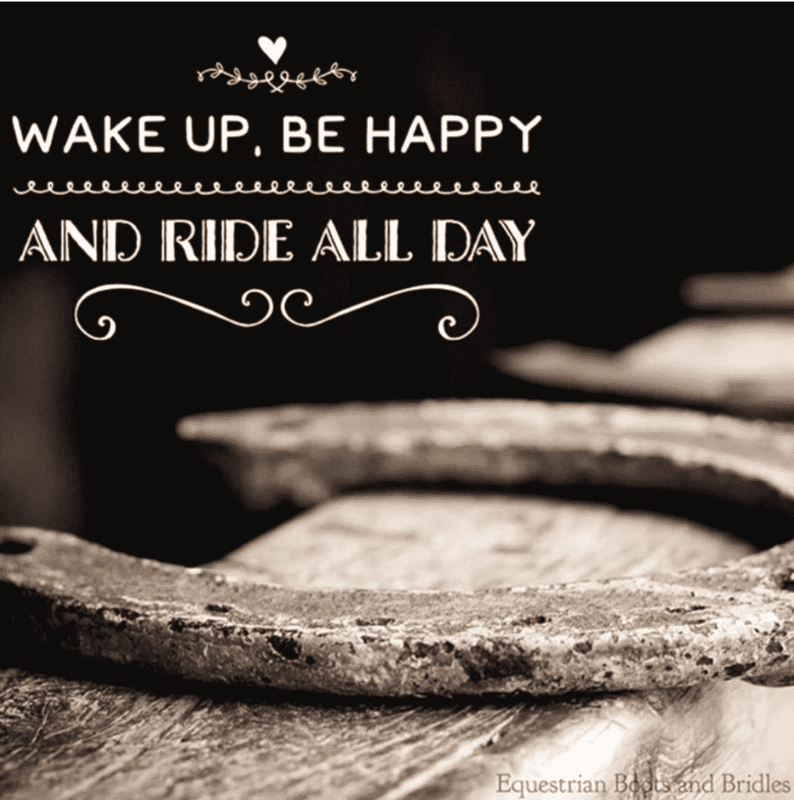 If you’d like to check some of our old mash ups, click here: Equestrian Boots and Bridles on MobilePrints. Founded in 2000, they too offer a platform for artists to sell their work online very similarly to Fine Art America. I would say the biggest difference is the feel of the artwork, the types of artists that are attracted to each platform and the price – Deviant Art is generally more expensive I find. I also find deviant art is tricky to navigate. You can’t just type into the search bar and expect the work you’re looking for to show up. You have to do a little bit of digging. What I recommend is first just typing something broad like “horse” into the shop search bar, then picking out an image you like. Once you’re on a page of horse art you like, a bunch of related artworks will come up underneath and on the side bar. From there, you’ll soon be sucked into a ton of neverending artwork you’ll love! Etsy is also a marketplace but rather than targeting fine artists, they target all creatives and really encourage interaction and human connection. They faciliate groups, comments, etc. in order to connect artists as well as artists and buyers. Our last online one stop shop to find awesome horse art is ETSY! This the first place that you will be able to not only find prints but also original works of art. I know to some people it really doesn’t matter whether an artwork is original or not but to others it’s the difference between whether they take the piece home or not. Personally, I buy both prints and originals but I must say, there is something special about having the original, especially if the artist is one you really admire and like the work of. Of course the trouble with original items is that they are quite a bit more on the expensive side. You’re now looking at hundreds of dollars as opposed to dozens of dollars. It can be frustrating at times looking for horse art on social media but the reason I love doing it is because every once in a while you can stumble on a great artist that you love and comission work from them for a much lower price than you would get elsewhere. Also if you develop a long-term relationship with them, you can get bundles of artwork too at a discount! It can be tough to find the right artists though and you have to be willing to do a little bit more digging then maybe you would on the online platforms but when you do it’s definitely worth it. On Instagram, I used to look for accounts based on hashtags. I find now though with the update that this isn’t as effective. It still works, you might just have to scroll for longer and go through to more accounts before you find some images you like. 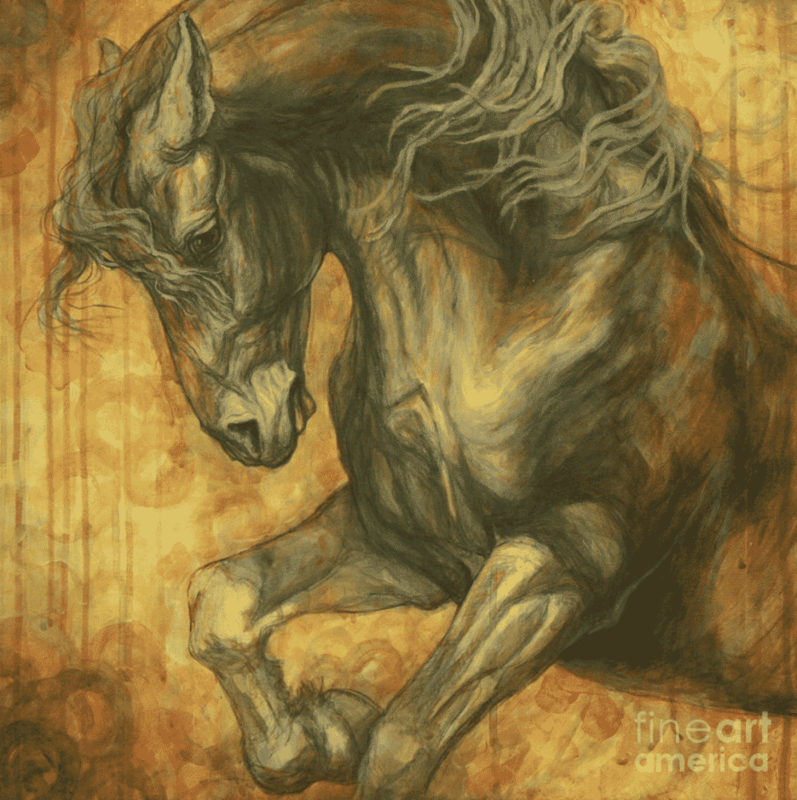 Just type in “horse art” into the search bar and you’re good to go because one thing will lead to another and another. again, keep track of time! The last thing I want to talk about is finding horse artists in person. The issue with in person artists is that they generally have their own galleries or have contracts with galleries which makes their work priced at a premium. 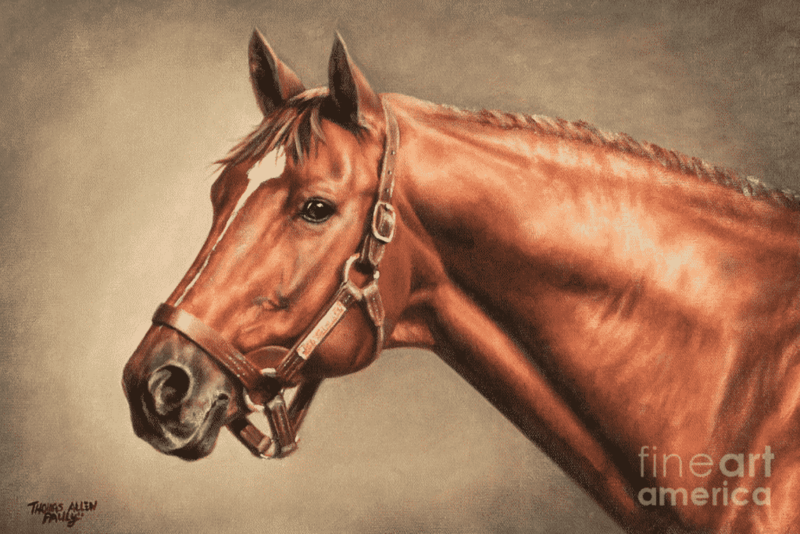 Of course you can always search “horse artists near me” on Google and probably find some amazing galleries that sell horse art. You can also check out local fairs and events. For instance, Cavalia shows and the Royal Agricultural Winter Fair have amazing artworks that you can buy, although again, they are quite pricy. I really hope this article was helpful. If you guys have any questions or specific issues, please don’t hesitate to comment below and I’ll try to answer as soon as possible! Horses are one of the most known and used subjects in fine arts thanks to their amazing anatomical features. One of the best places to find horse art is, as you have already mentioned, is Etsy! I am an artist myself and I appreciate any artwork that can transcribe the beauty of a horse into a medium. I have found deviantart to be quite expensive in the past so you’re not alone there. I think Fine Art America is the perfect balance any collector would be looking for! Though not original, it’s worth looking into for the affordability and you don’t have to commit too much, in my opinion. Pinterest is easy to get lost looking for anything, good luck with that, haha! You’ve kind of inspired me with the idea to commission paintings of my own pets – I’m thinking it’s better than just doing horses as there’s a greater market? I love the idea that even after something is gone you can remind yourself of it daily by creating your own art gallery. I would love to leave post some work and descriptions on your site, what do I need to do? Thank you, I will get some sorted and send them over to you during the week.